See? We told you we would be back. 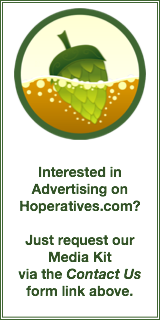 Still working on the complete overhaul of Hoperatives though, but we will definitely be still focusing on beer events. We’ll share some upcoming beer events now and then. This is one that is near and dear to us. Spring is all about new beginnings and this April, the Summit is celebrating the first year of the Cincinnati State Brewing Science degree at a Flight Night on Thursday, April 26, 2018 from 6:00 – 9:00 pm. Come join us and try six different beers brewed by Cincinnati State students this semester. The faculty and students of the Brewing Science department will be pouring the beer and available to tell you more about this new program as well as the Brewing Sales and Marketing certificate. Join the Summit’s Executive Chef, Alan Neace, Sous Chef Sharon Wiest and their team of Midwest Culinary Institute students plus the Cincinnati State Brewing Science faculty and students for a celebration of the first semester of brewing on campus. 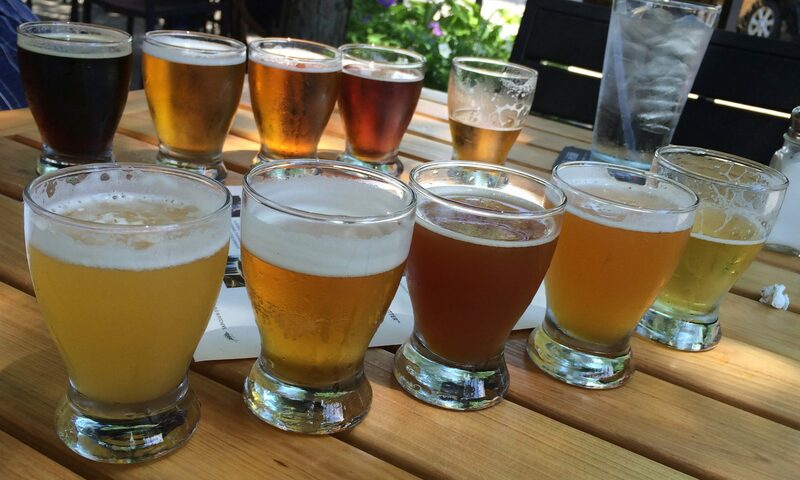 Appetizers will be served along with beer flights, and tours of our brewing lab will be available. Flight Night will begin at 6:00 p.m. and runs until 9:00 pm. The cost is $25 per person in advance, plus tax & gratuity. If available, tickets can be purchased at the door for $30 per person, plus tax and gratuity. Click on the link below to make a reservation. For more information, please call the Summit at (513) 569-4980. Extra Special Bitter (ESB) – This classic English-style pale ale is known for being a well-balanced beer with medium to high hop bitterness. Barley wine – The American strong ale has a caramel or toffee aroma and flavor. The malts are the star here. This is definitely a big beer. Belgian Quad – The Belgian-style quadrupel is a strong, dark beer. Caramel, dark sugar, and malty sweetness dominate. Saison – This most popular of the Belgian farmhouse ales has some yeast character and high carbonation. They are often a bit fruity and spicy. A surprise beer to be revealed that night. Exit at Hopple street and go east off the exit. Stay in right lane and follow the signs to Cincinnati State. You will make a right turn and onto Central Parkway. Turn right into the Central Parking Garage and enter the ATLC building. Follow the signs to room 236 ATLC, Summit Restaurant. Welcome back! Been missing y’all! Previous PostPrevious We’re going on hiatus. Promise we’ll be back.